Along the Way – Pottery, paintings, photography, and more! Pottery, paintings, photography, and more! Last April I went to California for the first time over spring break. 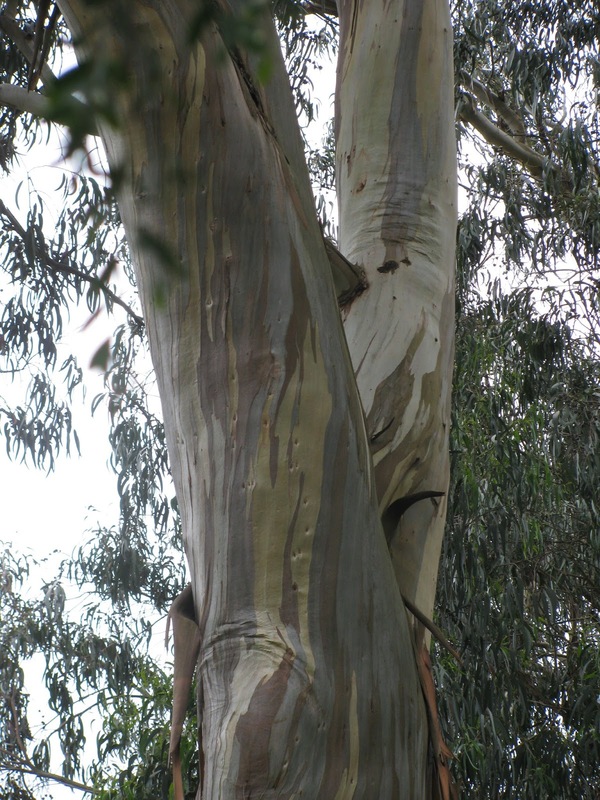 It was on a walk through Golden Gate Park, in search of buffalos and windmills, that I noticed these trees that had beautiful stripes of color–a variety of eucalyptus tree (blue-gum or rainbow). I was smitten! Over 100 pictures came home with me and I began to paint. I found freedom in creating paintings of small sections of these trees. They are abstract, and yet, they are not. 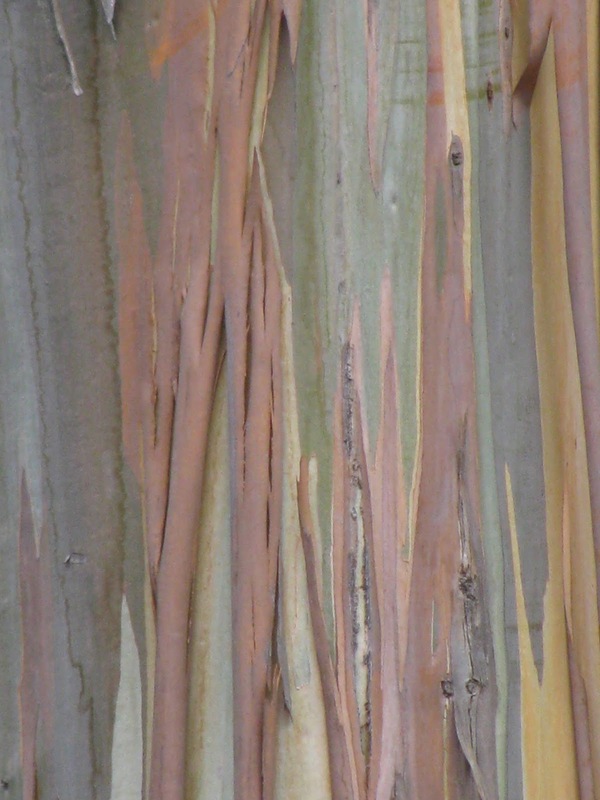 The paintings are true to the trees that stand in the park as they were on a sunny spring day. I am able to focus on color, line, and composition without being tied to the preconceived vision of lemon or beach. My studio is quickly filling with tree portraits and I am pulled to the easel to paint at every possible moment. I am grateful for the long walk that led me to these trees–and to finding joy in painting. When walking with an open mind and a camera, who knows what there is to be discovered!